If you want to improve the look and feel of your smile, then any age can be a great age to see the orthodontist. 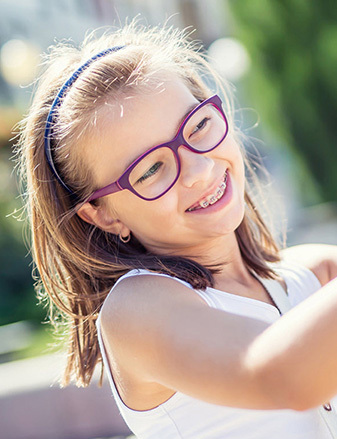 The American Association of Orthodontists recommends that children first visit an orthodontist by the age of seven; however, orthodontic treatment is not exclusive to children and teens, with about one in every five orthodontic patients being over the age of 21. Whether you're considering treatment for yourself or for a child, any time is a good time to visit the orthodontist. Be sure to schedule your routine checkups with your family dentist. If I have braces, do I still need dental checkups with my family dentist? Simply call our practice! Our front desk staff will be happy to help schedule your next appointment at your convenience. Also, we are always welcoming new patients. To learn more about new patient exams, click here.